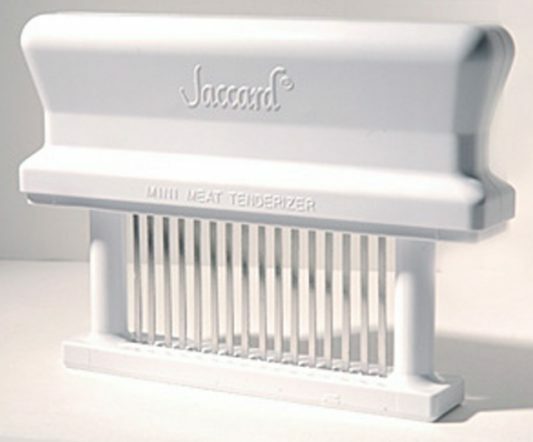 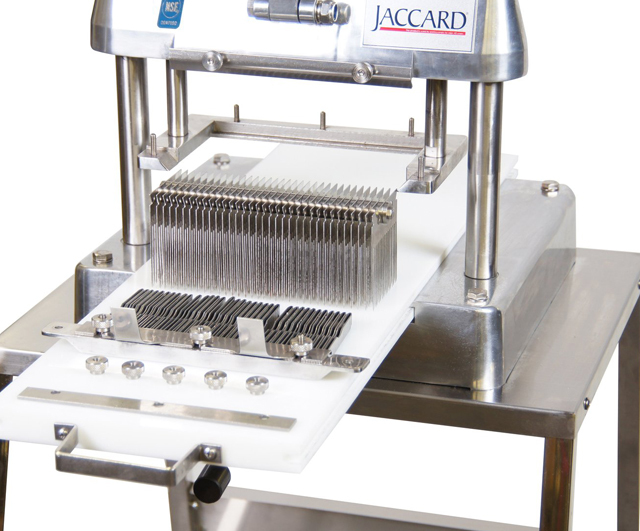 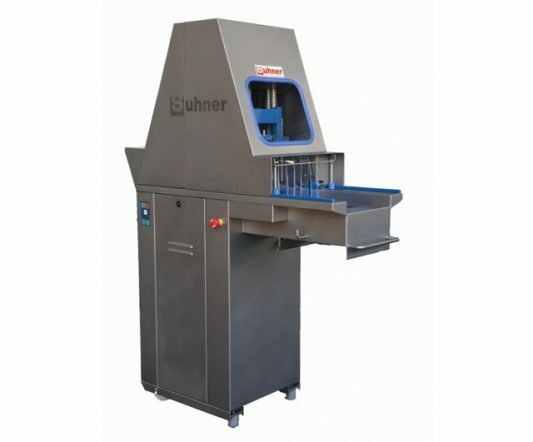 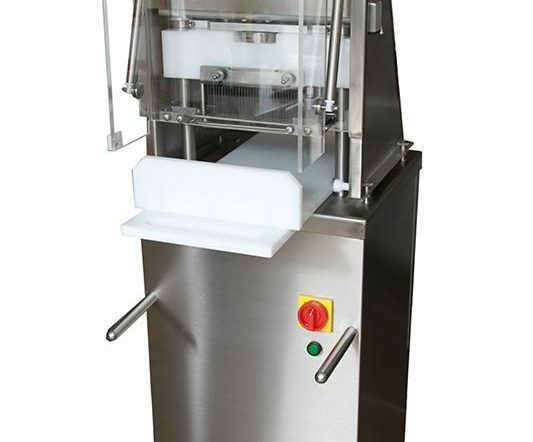 The Jaccard Model H Commercial Tenderiser has been the gold standard in manual tenderising for over 40 years in the restaurant and food processing industry. 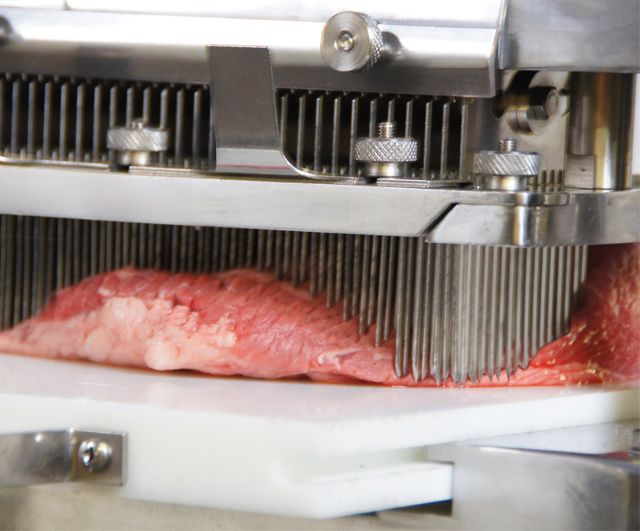 The Model H sets itself apart from the competition because it tenderises without tearing meat fibres or changing the shape of your meat. 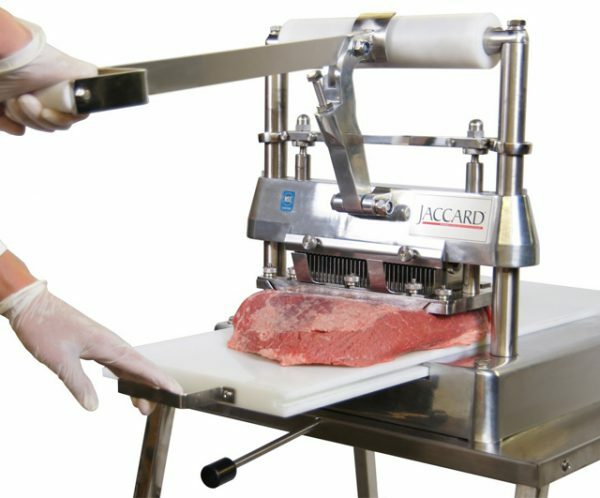 Blade sets contain 544 stainless steel knives, manufactured from 301 surgical-grade stainless steel at 48 Rockwell hardness. 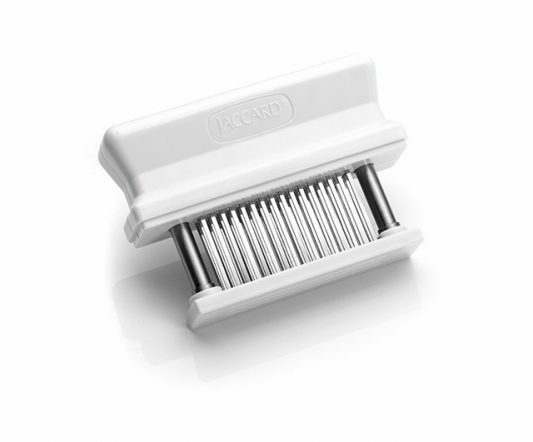 The Model H penetrates effortlessly due to the bi-directional sharpness of its knives. 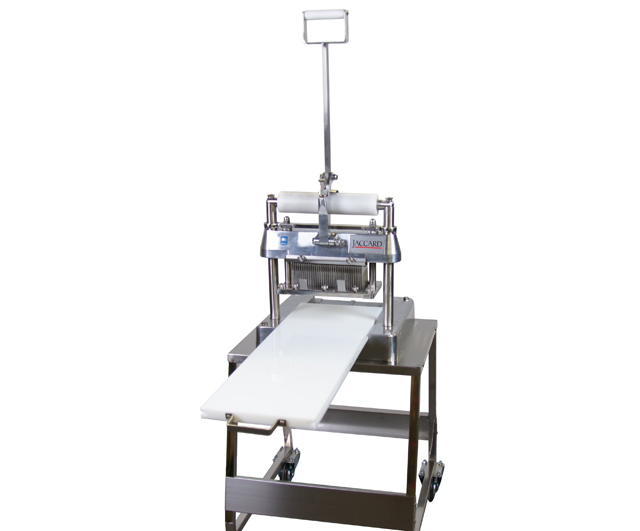 Patented stripper frame allows easy installation and cleaning of blade set, and furthermore, no tools required to clean the unit.